I remember being obsessed with friendship bracelets when I was at primary school. We all made them for each other and I remember begging my mum to let me loose on her embroidery threads so I could make them. They were a painstaking labour of love. Taking hours and hours to make each one. A simple mistake (and trust me mistakes could be very simply made) and you’d end up throwing away all your work. 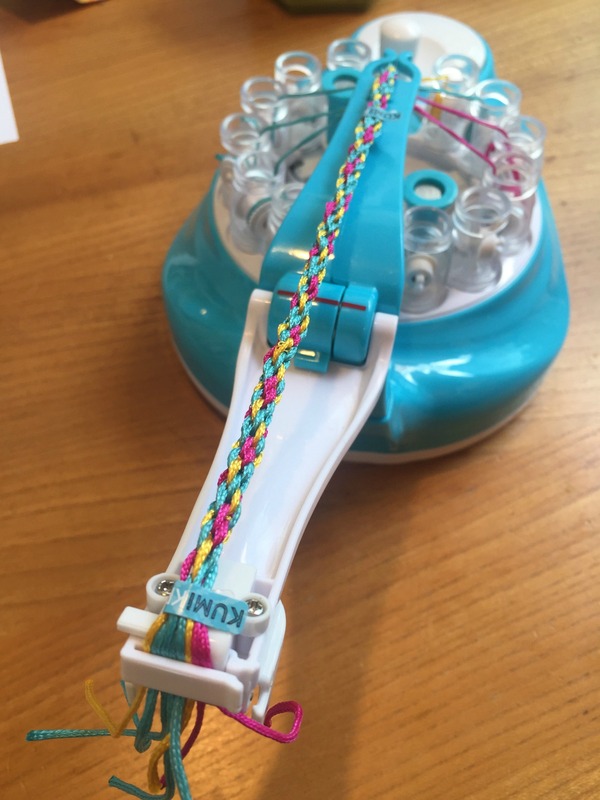 How I wish we’d had the Cool Maker KumiKreator Friendship Bracelet Maker back then. 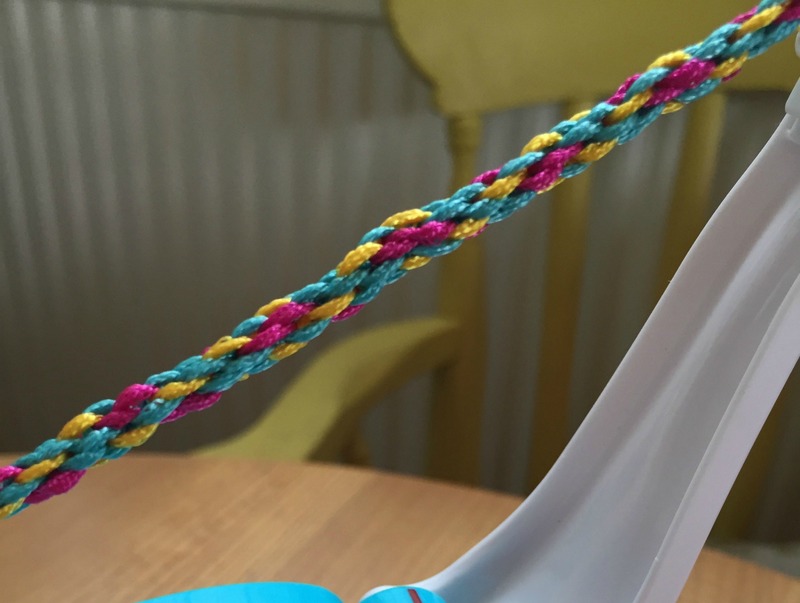 The Cool Maker KumiKreator makes making friendship bracelets an absolute doddle. And they don’t take long either. What you get in the set is a KumiKreator itself, plus everything else you need to make up to ten friendship bracelets. 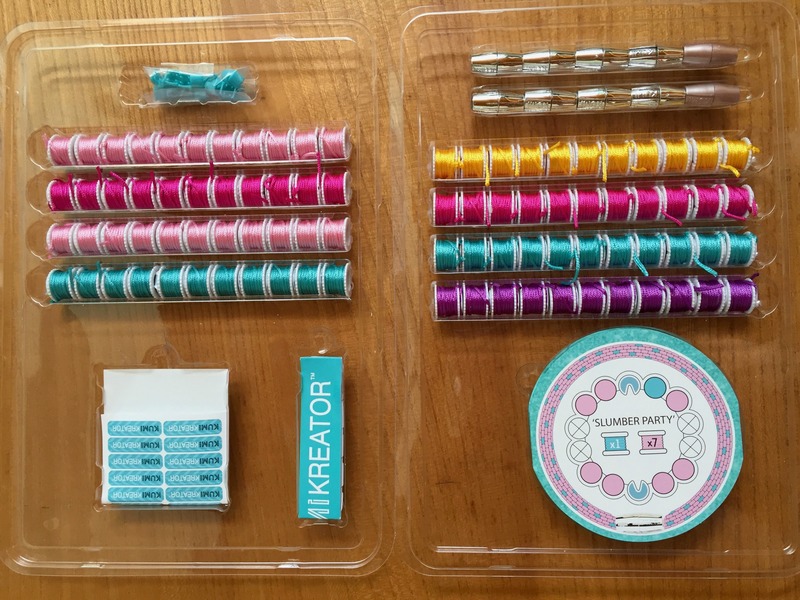 This includes spools of thread, clasps, end caps, clasp stickers and a design booklet showing you how to set things up to make several different designs. The KumiKreator itself requires minimal assembly when you get it out of the box. Literally just picking the arm into place. Once you do that and line the spools up in a certain manner you’re ready to go. 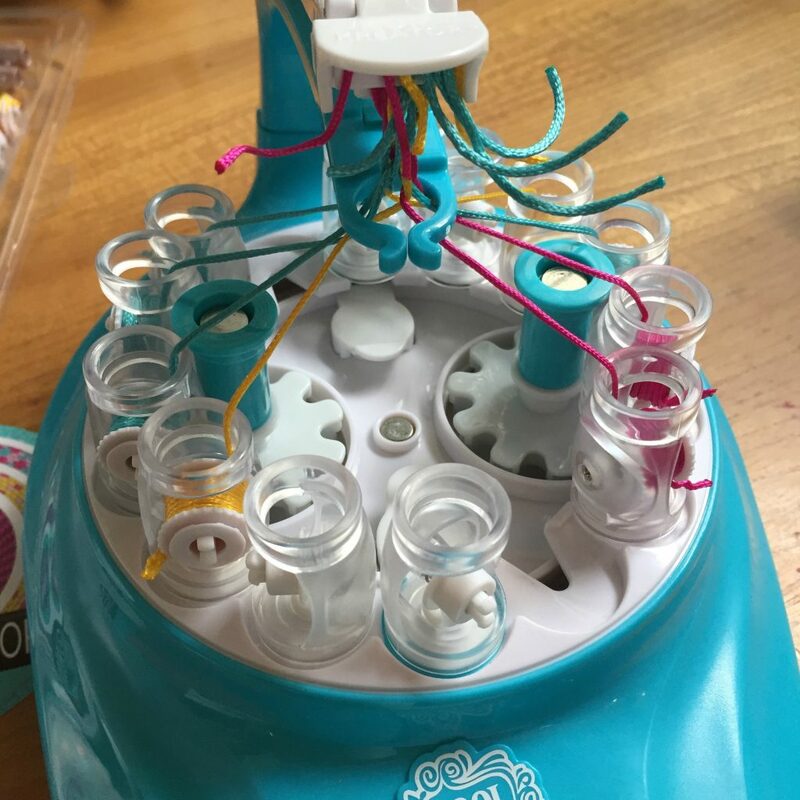 Using the guides in the design booklet you get the threads that you need and simply click the spools into place in the KumiKreator. Then you thread the threads up into the arm and you’re pretty much ready to start. The clever mechanism inside the KumiKreator takes care of all the threads and all you need to do is turn the handle. We found that we had absolutely no problems at all using the KumiKreator to make several bracelets. Should it get into a jam though there are some helpful hints and tips to un-jam things over at www.coolmaker.com. The KumiKreator clearly tells you when you can stop turning the handle. Then you’re ready to clamp the ends to the correct length and then add the clasps. It requires a bit of manual dexterity to get this bit right, but with a bit of practice it’s easy. Ta dah! 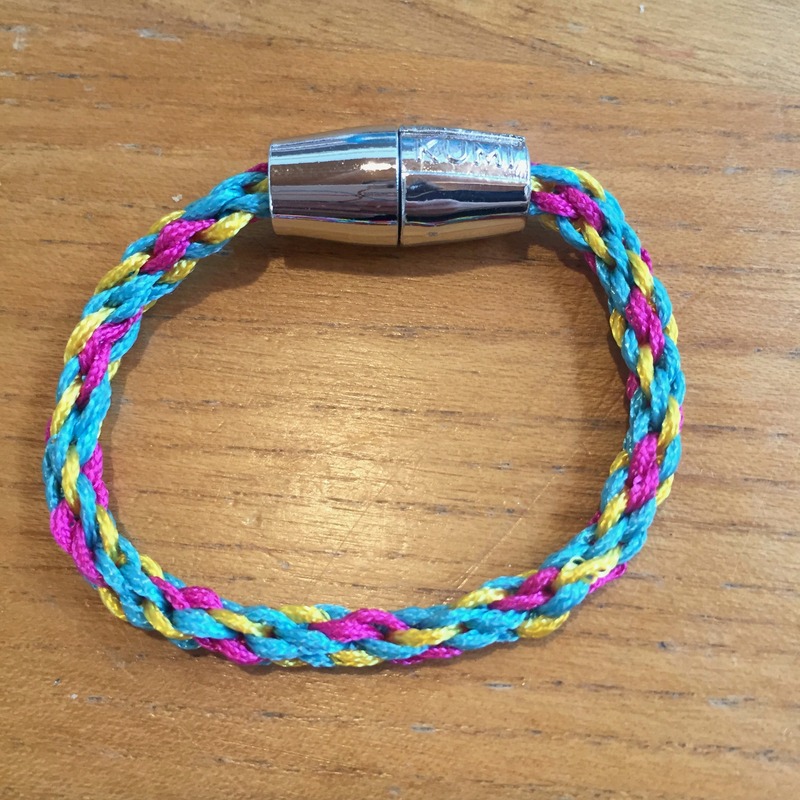 One finished friendship bracelet. 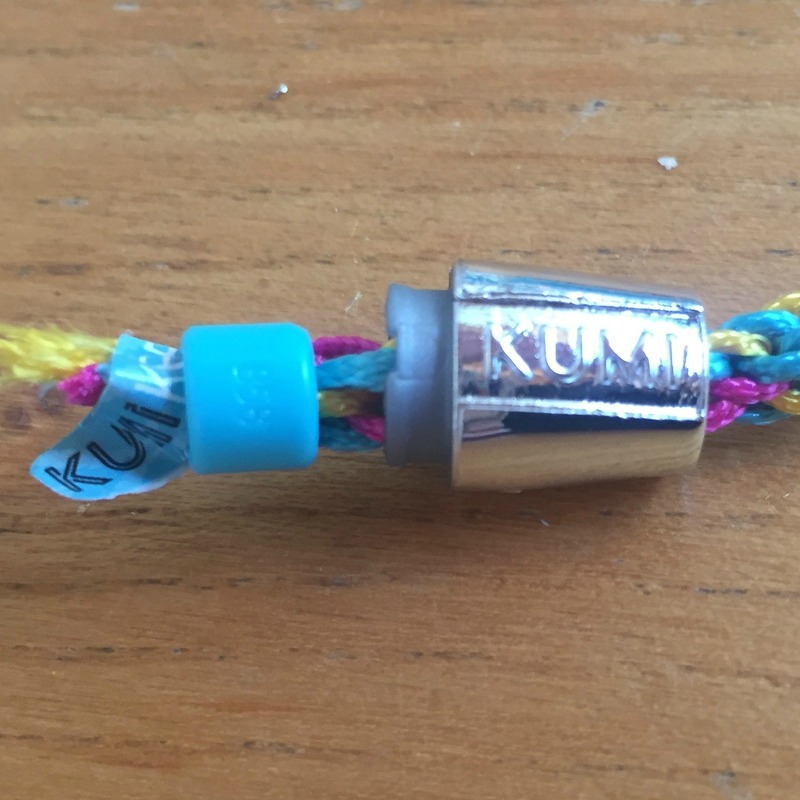 I was ready impressed at how easy the KumiKreator was to use and also how quickly you could make bracelets with it. The first time we used it I did the set up quite slowly to make sure I fully understood what had to go where so that I could help Little Miss C should she need it in the future. Once you know what you’re doing though it’s pretty quick to set up too. 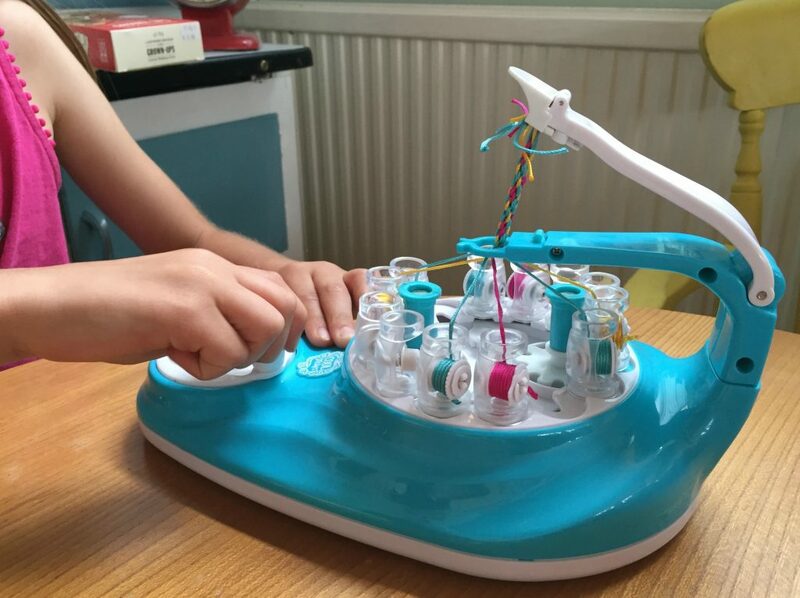 If you like the sound of the Cool Maker KumiKreator Friendship Bracelet Maker then why don’t you enter our giveaway to win one for yourself. All you have to do is tell me who your best friend was when growing up in the comments below. Then follow the instructions in the Rafflecopter widget and cross your fingers. For full T&Cs please see Rafflecopter. 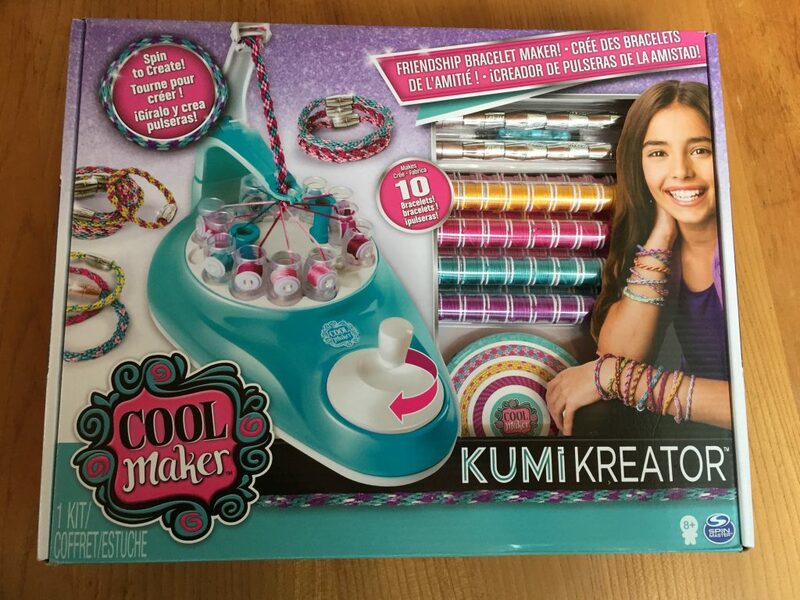 Disclaimer: We were sent a Cool Maker KumiKreator Friendship Bracelet Maker for the purposes of this review. All opinions remain my own. This post contains affiliate links.